Rent a Pocket WiFi in the Cheapest Price!! If you rent a Pocket WiFi , you don't need to look for Free WiFi Spot. Get Internet Anywhere in Japan! If you want to connect to internet anytime during your vacation in Japan, we recommend you to get our product, Pocket Wifi. Pocket Wifi is a compact portable WiFi router which can be just put into your pocket, and we are sure that it won't bother you to bring it anywhere. Just turn on the power and input the password is all things to enjoy the Japan Hi-speed mobile network with your smartphones, tablets, laptops, or any other device that can catch Wifi. 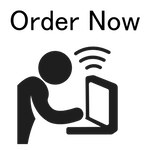 We provide 3 types of Wifi device, 21Mbps(E-mobile), 75Mbps(E-mobile), and 75Mbps(KDDI). Our new line up, KDDI device, has much wider coverage area than E-mobile. If you have a plan to visit Hokkaido(Especially Noboribetu area), Okinawa, or any countryside of Japan, this device make you satisfied. For our standard process, we will ship out your device two days before from your beginning of rental period to avoid any delay. It will be a great help for us if you order us at least three working days before from your starting date. Though, we will try to support any urgent delivery case. If you are in case of it, just e-mail us with writing "Urgent Order" on the title with your rental details. *Hokkaido and Okinawa area takes more than two days to complete delivery. We can send your device to airport, hotel, or any post office you prefer. In case you request to deliver to your residence, please tell us. We will try to support you! You can complete the payment through our online credit card system, once we receive your order, we will reply you with the Payment URL to you! Under our payment flow, no deposit is required! We can Ehnhance Your Japan Travel!! We support you in English every 365days. We will suspend your inquiry as soon as possible any time! We will deliver your device to airport or your hotel. You can return your item from anywhere in Japan! Our device area coverage is 95% or 99% of Japan. You can choose it upon your purpose! We will respond you as soon as possible 365 days! and it shall reach to you on the next day for earliest! Our 75Mbps LTE type is the most fastest mobile internet in Japan. There is almost nothing that you can not do by using this device! We inform Japanese culture and sigetseeing spot in Facebook,Twitter and Google+! The shipping fee is included in our price. No need to care any additional shipping fee! It worked well as expected and had no dropped signal. The speed is fast and signal is very good. delivery of product a day before my arrival is helpful because be going out early the next day. Easy to talk to Kengo san & quick reply. Always sure i will get unit on time. the price is affordable, the support is fast and also easy to shipping. Customer service support is good. Timely shipping. Good network in most areas. The service reply is efficiency! Battery hours are long. Shipping are so easy. Speed are very good. Price are quite affordable compare to a lot of other companies. We will use it again definitely! The support was excellent, always being updated and knowing my order was being processed and when it was delivered to the hotel - excellent support team - thank you. It worked well, and it worked for about 12 hours a day. Easy product pick up and return. Extensive coverage even in the the countryside. The free extra battery charger was a big help. I highly recommend this product. The reasonable price, the communication of the staff and the convinence of picking up be sending the wifi device! It took awhile to get a response but once I received one, they were on it! Excellent support, excellent product and speed of WiFi connection, affordable price. THANK YOU! Services always there when you need the most. Speed is good and available almost everywhere.Can last for almost a day without charging. Good quality product and service. They service also proffesional. Support from admin to communicate and speed coverage are good. Prompt reply from the staff, delivery and return of device is very convenient plus speed coverage is good. Wonderful service , prompt delivery and good pocket wifi device , I will definitely recommend my friends to choose Blank Wifi whenever they travel Japan ! Convenient during our tour in Japan. The email communication is always fast and very accomodating, the product is also reliable (sometimes limited connection but most of the times are great), the shipping is also always on time. Good customer service and price. It fits exactly what I needed for my stay in Japan. Very good support replies and reasonable price. Everything went accoding to agreement. The price was just right and it comes with complete accessories that includes a power bank, so its very handy while travelling in Japan. The internet speed and coverage was also good, we didn't experience bad service connection. Also we are satisfied that the shipping was sent a day before we went to Japan and you were able to handle our inquiries very well so we were able to get it easily. The service rep was very helpful and responsive. Great and dependable unit. Also very responsible customer service. It is very convenient and helpful during our stay in Japan with excellent access everywhere we went. The process from getting the device to returning it was so fuss free and easy. We will definitely recommend everyone! I've used Blank's service twice already. The product worked really well both times. Also, Blank's team was very attentive to any problem I had. In summary, a very responsible company that cares about its customers. 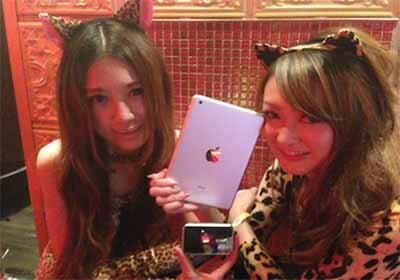 Fast speed, covers a wide area in Japan, long battery life, user-friendly. The speed for the pocket wifi was very good! Affordable, convenient and good coverage. Great support and very helpful from staff. Price is value and promo code is helping me to make a decision. Very fast response, very friendly support team, prompt delivery and delivered what was advertised. Overall I'm very satisfied. The speed and coverage are amazing, the service is well organised. Simple and efficient booking, collection, setup and return. The device is easy to use and it has a wide network coverage. As you may know I am very happy with your service. The portable wifi is always reliable. I rarely found the signal problem except in some remote areas I travelled to. I have used your service for both business & personal trips in for a few years and I am very happy to introduce your service to my friends which I have already did to a few in the past. There was only a hick up when it was not shipped to our hotel last year but you managed to resolved the problem very fast. We are really happy whenever we are in Japan. The wifi router really helped us alot to find our way to good resto, and places we want to go. It really makes our trip more easier and hassle free.. The most important thing, we can communicate with our family without the expensive roaming charges. But the most important thing, you always take great care of our order, and sent to our hotel on time, xternal battery is all fully charged for us to use immediately. You also keep us informed the delivery progress. Really much appreciated. We will continue to support you. not Blank Wifi! price is as advertised! I rented 2 units, made my stay in japan a lot more memorable!. will be using your service again soon! Thank you for your discount code. Your service was very helpful and prompt, so I had no worries at all while using the device. The reception was fantastic all the time, never missed any signals during my stays in Tokyo. The extra battery was extremely useful as well. I will definitely use Blank Wifi next time (in fact, my next trip will be at the end of January so I am going to re-book it with the discount code soon :-)). Thank you again for your service and hope to see you soon. I initially wanted this pocket wifi for GPS purpose, but i realise it is actually easy getting around in Tokyo with maps and asking directions. But the Wifi enable me to access to useful information at fingertips as well as communicating with whatsapp which is wonderful! I'm looking forward to coming back again and will definitely use your pocket wifi as well as recommend to friends! I really appreciate your help with everything and I have to say that the wireless quality and service was incredible wherever we went. I look forward to using you again soon and to recommend you to all my friends. I had returned the wifi from Haneda Airport yesterday. Here is a pic of me in Kanazawa. I thank you for the service, it has been really helpful and I wouldn't hesitate in recommending you to friends and families. How would you like me to post the comments? If you could provide the link I'll be happy to do it. Thank you once again and looking forward in visiting Japan soon. The device has worked very well and battery life really awesome. I have included 2 photos for your selection. As I will be visiting Tokyo in March next year, please do let me know how I can utilise the discount voucher. I will like to rent from blank wifi again. Thanks for your detailed email and on going correspondence for this rental. The device had strong signals during the entire rental including on trains and subway (which is a luxury compared with the subway system in New York), and the device was super sice to set up as it required no instructions. I appreciate the included manual, although I didn't need it as I anticpated (not the first time that I am wrong). The pocket wifi made navigating the streets in Osaka and Kyoto as easy as a walk in the park, and it was a life saver to have the extra power bank which extended my cell phone use during the day. Japan is a beautiful country, and the customer service throughout the cities, including the transaction with your office was exceptional. 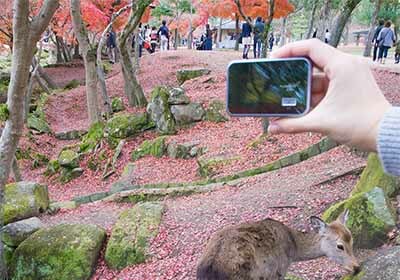 I look forward to re-visit Japan next year and the pocket wifi is a must as part of the vacation. I put on a picture of the pocket wifi on my social media account, and it generated many reviews. Hope that you have received all the rented wifi items by now. Thank you for your great service. Attached here a photo for you. The wifi reception was really fast and good and we can locate from places to places without any delay in the loading of google map. Picking up from narita airport post office and dropping off at any post box (which i did at lawson) is so easy and convenient. Device battery itself can last quite long given that we use the wifi non stop. The provided portable charger was therefore a plus as it could help us with our phone battery life too. Thank you for everything and we really love the service. We will definitely rent from you again if we are going to japan! Yesterday I already gave the return package to the staff at Ana crown plaza chitose hotel. He said today when he went home he would post it. Thank you very much, the WiFi is really make our trip perfect. We wish that Blank Wifi will always prosper and become more successful. Keep up the perfect work and service. I also sent the photo with the WiFi in this email. The portable wifi has been useful to us. Its easy to connect to and recharge. We had some problems connecting to the wifi network with the portable wifi at Takachiho in Miyazaki. Hence, we did not have any wifi network for 2 days while at Takachiho. Perhaps can consider to include wifi network for the portable wifi to Takachiho in future? Otherwise, we liked using the portable wifi. I'm so glad I got this website by chance. We are so satisfied with the services as well as the data coverage eventhough we took the cheapest package. I'm really really satisfied with the services & all. I will definitely recommend your service to my friends! Thank you for this information, yes your Pocket WiFi is so great to use while I am in japan, always online !! this year so I will make a new booking for a Pocket WiFi when it get closer. We are considering returning to Japan end of the year. Will let you know should we require the blank wifi again. It was very helpful. Thanks. Me and my family enjoyed using the portable Wifi, just some place like Mt. 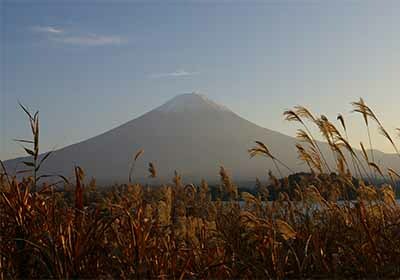 Fuji there no reception but is still acceptable. We surely will deal with Blank Wifi again on our next visit to Japan and recommend to our friends and relatives. The portable wifi was good!! I didn't have connection issues and was able to access the internet throughout my stay in Japan. Battery was able to last the whole day while I was out. My whole family orders from blank wifi, will definitely order again during my next trip in Japan. Thank you for the great experience using Blank Pocket WiFi for the last 2 weeks around Japan. The connection was good and fast, the battery last long even without the extra battery. I have sent back the complete set through airport mailbox on October 15th, 2015. Hopefully you'll received it soon. When I get back to Japan will surely rent again. Attached is our picture with Blank WiFi and when I posted it yesterday. Have a nice day! I put a thank you note in with my returned items. I was in Japan for five weeks and your device never let me down, even in remote Hida Takayama. I will use it again if I return to Japan and will definitely give it a high recommendation to anyone travelling in Japan. I left it in the reception at imperial Hotel yesterday night, everything worked out absolutely perfect. Such a good thing. I will recommend wifi blank to everyone who is going to Japan. Thanks for the confirmation and the great service provided. Looking forward to our next visit. Thank you Blank Wifi so much..your item is like our tour guide when we were in Japan..
your service is excellent and very easy to use...will definitely use it again if i come back.. Here you find a brief comment regarding your service. We went from Tokyo to Osaka, stopping at Kyoto and Nara on the way, and always had good signal and excellent transfer speeds. It helped us a lot when we were trying to get somewhere because we could use our phones to check for directions, maps and information all the time, and made our trip a lot more enjoyable and relaxed. Thank you for everything! Will definitely use it when we come back to Japan in the future! I've rented many times from Blank Wifi and have nothing but praise for your service. This time I've rented two mobile wifi sets, one for myself and another for my parents. It was the first time my parents used it, and it proved to be simple and easy to operate. We could stay connected wherever we were, which kept us at ease knowing we could be contactable any time. We also saved a great deal on global roaming and data charges. Thank you very much. I'll definitely recommend my friends to rent through Blank Wifi as well. Regarding your service, it was so simple and easy to use. It was my first time renting a pocket wifi, and I wasn't sure how it would work. But you made it so that I didn't have to worry about anything! I would definitely rent through your company again. Thank you! I was in Shinsaibashi yesterday afternoon and enjoyed the shopping trip specially with your portable wifi device! I took a lot of pictures and uploaded them to my Instagram, Facebook, and Twitter accounts in real-time. We have been renting from Blank Wifi for over a year, every time we go to Japan. Blank Wifi offers the best service and best equipment that tailors specifically for our destinations, be it city or remote. We are always guaranteed the best coverage with Blank Wifi's machines. I am very happy with my rental experience. I rented the 75Mbps LTE Ultra Speed device for my 2-week trip, the device was conveniently delivered to my hotel ready for me when I checked in and to return it I simply gave it to the receptionist when I checked out in the paid envelope provided. The device worked perfectly in the various cities I visited (Tokyo, Osaka, Kyoto, Hiroshima and Miyajima areas) and along the road. It came with a spare battery that helped further extend its operating time. I also like the upfront clear rental pricing. Overall it was a very convenient way to rent a pocket wifi at a reasonable cost. The 2 pocket WiFi units that we rented worked really well enabled us, as a group to maintain connection with each other and with back home here in Australia. The service and instructions were really easy and created no problems for us. We will be returning to Japan in September 2016 with a group of students so would certainly consider using these units again. Thank you very much for all the support you provided to us with the 2 wifi rental devices. We were very happy with your support and the LTE devices - very fast. Minor issue is that it slowed down after we have consumed more than the allowed 5GB for each device. If possible, you may include services with unlimited data. We will rent again from you on our next Japan trip. We are glad that we used the service and found it extremely useful during the trip. The speed and coverage was better that I expected and extra battery pack was enough to last through the day. I want to inform you that I handed over the post package with all items inside to the hotel crew at Marroad Narita International Hotel this morning. They will drop it at the next post box. I was absolutely satisfied with the service and the technical equipment. Once I visit Japan again, I will contact you again. 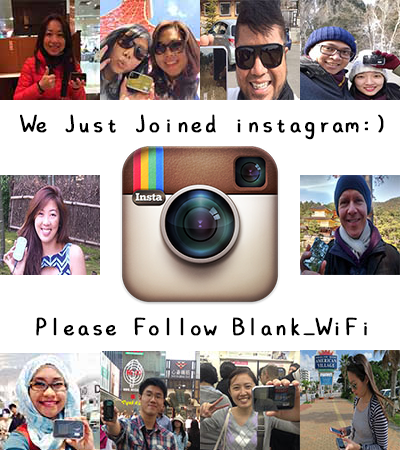 I will definitely recommend blank wifi to all my friends! I love your service very much! I already post the wifi today..
And here a picture for you.. I hope those are quite good for you. I took it inside giant ferris wheel in Osaka. hanks your discount code & hope visit Japan again, Japan is very beautiful country , friendly nice ! We will surely use the services of Blank Wifi for our next Japan visit. Thanks so much for the quick response, the wifi worked ok.
Sending a pic with the panoramic view of Osaka Bay! I left the self-stamped envelope containing the pocket wifi device and its accessories with the Ritz-Carlton hotel's concierge this morning. I wouldn't have enjoyed my trip as much if I didn't get a portable wifi device! 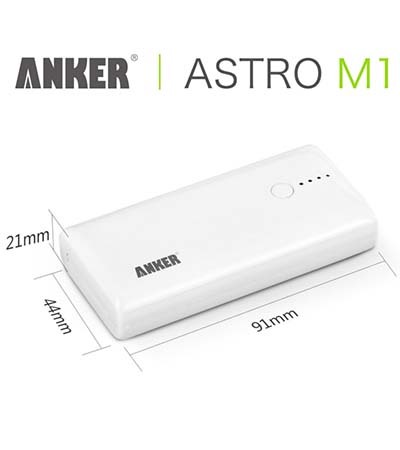 It connects fast and has a long battery life. Thank you again. I hope to come back to Osaka. Apart from the very rich culture, I find the people very polite and helpful. Excellent service from your company again. Couldn't be happier. I will certainly use your services again on my next visit to Japan. I have also recommended your service to my friends. We found the unit extremely helpful and I anticipate returning to Japan. When I do I will use your service and will suggest it to others who may be traveling to Japan. 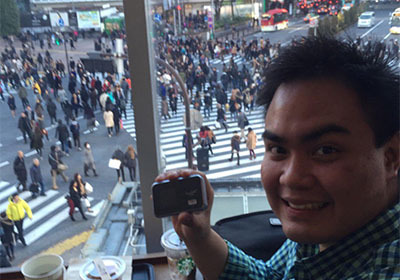 Your device really helped us a lot in getting around tokyo dan proved very reliable and stable. I would definitely buy another plan from you on my next trip to Japan. Pocket WiFi works really great and keep me online all the time, before I discover your service I always had to wait until I came back to the hotel or find any HotSpots (not so many) so I could make my business. Now I can send email and post images on social media wherever I am !! As soon as I know my hotel I will order my Pocket Wifi again. Thank you. I am very satisfied with your service. I shall definitely recommend Blank to my friends and colleagues. I've just came back from Osaka yesterday, I was very satisfied with blank pocket wifi !! We found the wifi device very good and our holiday would have been a lot harder without it. Your delivery and return systems were very simple and efficient. We will definitely use your service again if we return to Japan. 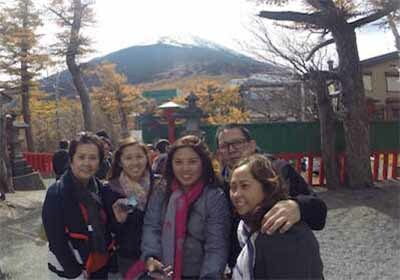 Hello, I have enjoyed the use or pocket wifi during my travel un Japan, it worked flawlesly. Just one minor annoyance, battery level indicator is not accurate. I have posted the enveloppe on april 24th, from Osaka Itami airport. I appreciated your excellent service. Thank you for informing us upon receiving rental item. We will try to visit Japan again and thank you for ur discount. If I go other place in Japan like Hokkaido, your service is available to send there. Just got back, thank you for the material, was super useful ! Good Day. Sorry for the late reply..But Highly Appreciated!!! :) Thanks and I will be back again to your beautiful country...Will contact you again for my rental.. Thank you very much for your service. The pickup and drop off were very convenient and the wifi was reliable. Your price is also good and I will recommend you to my friends and family. Thanks for your confirmation on receiving the portable wifi set. I'm satisfied with your great service. Thanks for your discount code. I would consider use your wifi again when I visit Japan. Thank you for your great service & I enjoyed Tokyo very much indeed . I was very happy for the service that you have provided. And for sure will use your service again on my next trip to Japan. Attached is a picture that I took with the modem in it. Once again.. Thank you. Thank you for your wonderful service as well as for the wonderful device that followed me when I was in Tokyo the past 4 days J Very grateful for this. Please see the attached photo taken at LaQua (Tokyo Dome). 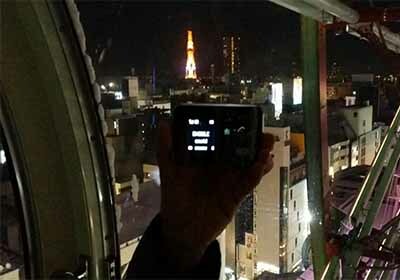 We don't have any problems while using your pocket wifi during our traveling in Japan. We will use it again for next time for sure. Thanks a lot, one more time it was very nice renting device from You ! I will be back in Japan coming August and for sure I will still rent the device from your Company. Thanks for the special promotion code. Your service and the item were both very good! Thanks! I will rent from you all again next time I visit japan. Thank you for the discount, I will definitely contact you on my next trip to Japan and will recommend your service to my friends. The pick and drop off of the device was really convenient and easy, connection was fast, at least 4 devices were connected to the wifi device and we never had a problem with the speed. It really helped me a lot since most of the time I rely on google maps during my stay. Attached herewith is a photo taken in Tokyo Disneyland for your website. Again, thank you for patiently answering all of my questions. I really am satisfied with the service. Til our next transaction! we had beer in the most famous tebasaki resto. We will definitely rent the portable wifi again if we get the chance to go japan. The wifi portable is really a great help for us to google direction for us. I have already shipped back the Pocket Wifi from Narita Airport last Saturday. I wish to thank you a lot for providing the excellent service and will not hesitate to use it again in the future. I would like to say Thank you very much for your service. It was amazing how I was connected to all Internet services I needed during staying in Japan. I have no prolems with internet connection in Japan at all. Everything was as you promised. The rental internet connection equipment waited for me at post office in Narita Airport. Since first moment I turned on the router I got Internet access for my notebok, my smartfone and my wife's smartfone as well. All days we were connected to the Internet and we was able to use skype, e-mail, viber, google maps, booking com, Japan railways and tokyo subway with very good speed. The battery capacity was enough for whole day using router outside. In hotel we use it plugged to outlet by power supply. Thank you very much again. If I will visit Japan again I will use your rental equipment for sure. It was indeed a pleasure. I enjoyed every ounce of Japan. Especially how convenient your services are. I hope to come back again and will recommend your service to all my potential visits from my circle of people. Thank you again. And I'm missing Japan already. Yes, the service fr you and your company with the device is superb and will surly use it the next trip to Japan again and will also share with my friends. Thank you so much for your offer and I'm so delighted. I will be travelling back to Osaka think summer maybe and i will be glad to use your service again. As for comments, the wifi router seem not able to work in underground, is that because i choose 21mbps? Will it be better if i choose a faster connection? If thats the case then i can choose a much better one next time as i have the promotion code. Thank you so much and me and my wife is more than please with the wifi router from your company. With the rental item i managed to capture many beautiful scenery which i can immediately shared among of my friends and family. It is very useful to us during our vacation. For sure, will come back again and consider to use your company item with the special discount granted. thank you for the offering. i will use it for the next visit. I was shipped the device a day prior, the package was waiting for me at the hotel on check-in. The whole set comes in a small pouch that can sit in your bag, very convenient. The Power Bank (extra Battery) and the Device were both at 100% charge. I started using the device rightaway and NEVER once experienced an issue. I would rate the service and the product 5 Stars. Will never hesitate to recommend Blank WiFi. Thank you very much. I am satisfied with your service. Will use your pocket wifi service again when I travel to Japan next time. Its a pleasure to be serviced by you and your company. I will surely recommend your company and Blank WiFi to my other Indonesian friends/relatives when they come visiting to Japan in next time.  As i am satisfied with your good service, if you would like me to give a satisfied comment on your website, i'll be glad to give a good comment on Blank Wifi company. Many thanks for the arrangement! i am very happy with the device. Thank you for a quick arrangement! Will sound out to friends that need mobile wifi while traveling to Japan . I'll be back in April and i will take advantage of your service next time. I thank you and your boss for your kindness I have been very impressed by your level of service and you can certainly count on my patronage on my next visit. I've returned the Wifi via post. It was awesome, affordable and very convenient. It was much affordable than the ones in the airport. Thank you again. You helped my Japan experience more memorable. I will definitely use your service again. My sister is visiting in December and will recommend her to use your company too. I have just returned the pocket wifi set at the post office and it will be on it's way to you tomorrow. It worked fine and enjoyed using it. Thanks again for all the support. I will recommend it to all my friends uf they plan to go to Japan. I'm really enjoy with the pocket wifi 75Mbps during travel at Tokyo and Maihama area! The wifi speed is better than what i expect! I'd like to thank you for the service. It's easy to use & we had enjoyful journey in Japan. Will definitely use the service when we come to Japan next time. Thank you so much for the lovely service! I've just put the pocket wifis in the mailbox. Hope they reach you safely. Thanks again! As a lazy person like me, i usually won't give a comment after using. But i really want to write something encouraging feedback this time to praise the one-stop service that offered by your company. There are few areas that I would give a thumb up to:- 1. A spare battery for charging, which is very important accessory to maintain device functioning for a whole day; 2. An easy-to-find collection and flexible drop-off time point; 3. An excellently steady network signal connection from Kyoto to Osaka; 4. An easy-to-reas user manual in the envelop; 5. An after-sale coupon; Thanks again for offering an excellent wifi portal device and spare battery at low rate making my journey in Japan smooth and enjoyable. I would definitely introduce your product/service to my friends who are going to make a visit to Japan. Thanks a lot for your email and the good and efficient service provided during my stay in Osaka. Surely I will contact you again next time when I visit Japan. Glad to hear that you have received the rentaled items safely. Thank you for the promotion code. I am sure that I will use your services again. Thank you and have a nice day. Our purpose is to support all of Japan traveler to make their memory more precious and wonderful. We will provide a good online connection environment, usable information to make every foreigner enjoy this country! Listening to all of customers needs will make our service more high quality and many variety way. Fushimi Inari Taisha is a shrine located in Fushimiku, Kyoto. Kinkakuji Temple is located in Kinkakuji town which is at northwest end of Kyoto city. Please Contact Us from Here!! Copyright©2014 Blank All rights reserved.